William Jacket brings the same featured attire for you which is made with PU leather to make it lightweight wearing. It contains the viscose lining inside the jacket so you could wear it in any weather with soft touching feelings. Star Lordjacket has open front style as per the real jacket, it has two pockets inside the jacket, so it could maintain the real look. 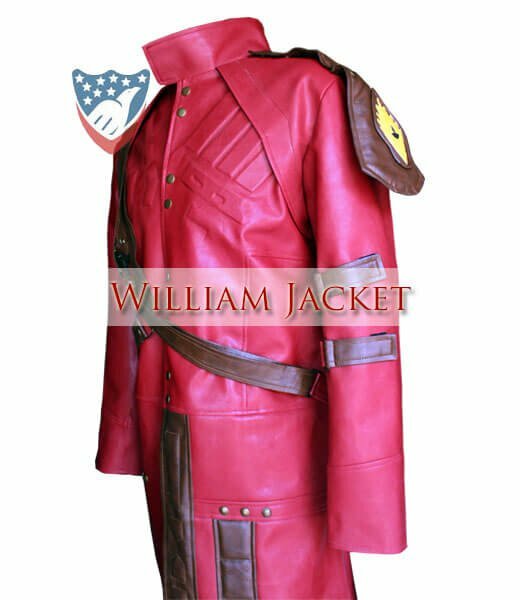 Guardians Of the Galaxy part one Star-Lord Jacket has full sleeves with open hem cuffs, which are quite suitable with its long and attractive length. Best ever Coat. I love it. I got the coat it today.. and it’s freaking awesome! looks great, fits great… it’s better than I expected. I can’t wait to wear it to the local Comic Con I am going to next month. 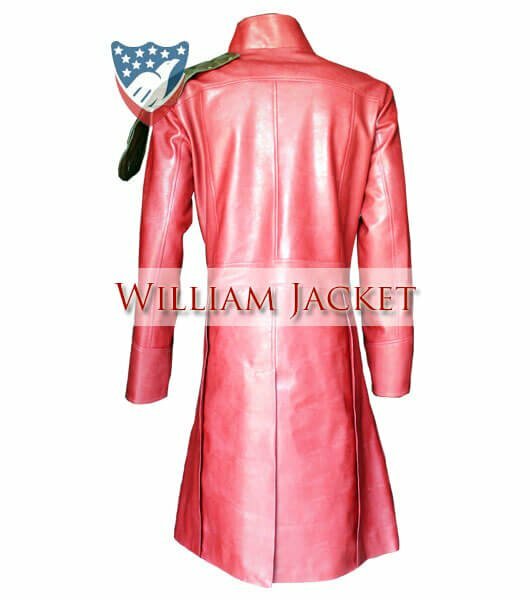 If anyone asks, I’ll be sure to direct them to the William Jacket website. As I am a big fan of unique outfits like I found this Star-Lord Coat. So I don’t miss the chance to purchase that kind of featured coats like this has slight long length collar and belts around the waist. Overall pink shade is kind of a ladies thing but I preferred features over color. I was looking for the long coats to attend the party of my friend. 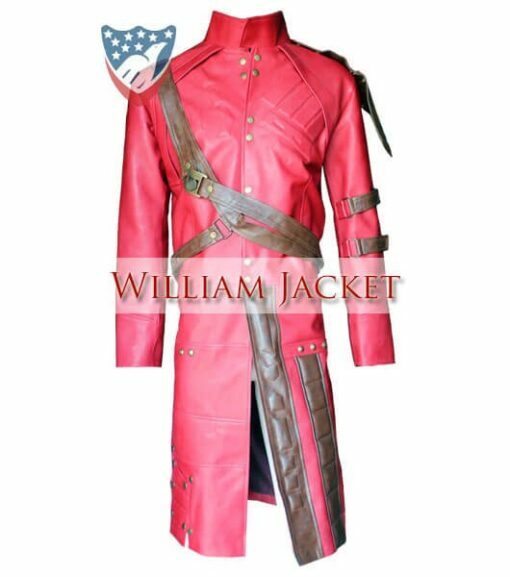 As it is unique in style and has the eye-catching features which make it unique from the many other jackets or long coats. I would personally thank William Jackets which make it possible to deliver such unique attire. The pink color of a long coat, seriously? That’s what I thought as I have the first look over the internet. But really suits in actual, so I would keep it till it could be bear my styling. Latterly I found that it is from the famous movie Star Lords I have never watched that movie but now I will. The pink shade of a long coat, truly? That is the thing that I thought as I have the main investigate the web. All things considered suits in real, so I would keep it till it could be bear my styling. Recently I found that it is from the well-known motion picture Star Lords I have never watched that film however now I will.